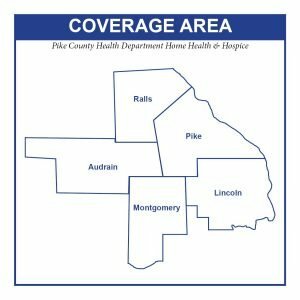 In 1969, 21 years after the grand opening of our Public Health Department, Pike County Home Health Services were officially offered to our community. 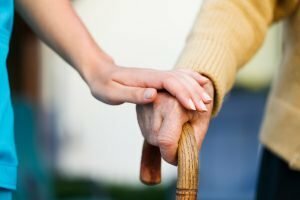 Home Health is care provided in a home or residence during a time of acute onset or worsening of a condition that requires a nurse or therapist (physical, occupational, or speech). – Provides skilled professional care in the privacy of a patient’s home. – Offers a team approach under the direction of the patient’s personal physician with a registered nurse coordinating needed services. – Home Health Services include: Skilled Nursing, Home Health Aide, Medical Social Services, Physical Therapy, Occupational Therapy and Speech Therapy. – Provides medically managed care which includes the patient and family in the plan of care. – Offers teaching related to specific disease process thus increasing patient and family knowledge. – Relieves anxiety by providing information to the patient and family about what to expect during the course of illness. – Provides 24 hour a day – 7 days per week nurse on call. – Referrals for other services in the county that the patient may need. – Referrals can be made by physician, hospital, nursing home, family, friend or self. – Provides a discharge plan with specific goals so that the patient can return to full independence when possible. How Does A Patient Qualify? “The goal of home health care is to treat an illness or injury. Home health care helps you get better, regain your independence, and become as self-sufficient as possible.” – Read more about how medicare.gov describes what home health care services are.